WASHINGTON — United Launch Alliance announced Sept. 27 that it has selected Blue Origin to provide the main engine for its next-generation Vulcan launch vehicle, a decision long expected by the industry. In a statement, ULA said it will use a pair of Blue Origin BE-4 engines, using liquid oxygen (LOX) and liquefied natural gas (LNG) in the first stage of its Vulcan rocket, expected to make a first launch in mid-2020. The company did not disclose the terms of its agreement with Blue Origin. “We are pleased to enter into this partnership with Blue Origin and look forward to a successful first flight of our next-generation launch vehicle,” said Tory Bruno, president and chief executive of ULA, in a statement. The announcement comes four years after the companies first announced their partnership to develop the BE-4. While ULA also considered the AR1 engine being developed by Aerojet Rocketdyne, Bruno long made clear that BE-4 was the front-runner to power Vulcan. In an April 2017 interview, Bruno said he was waiting for Blue Origin to complete a set of tests of the BE-4 before making a decision. “The economic factors are largely in place now and the thing that is outstanding is the technical risk,” he said at the time. 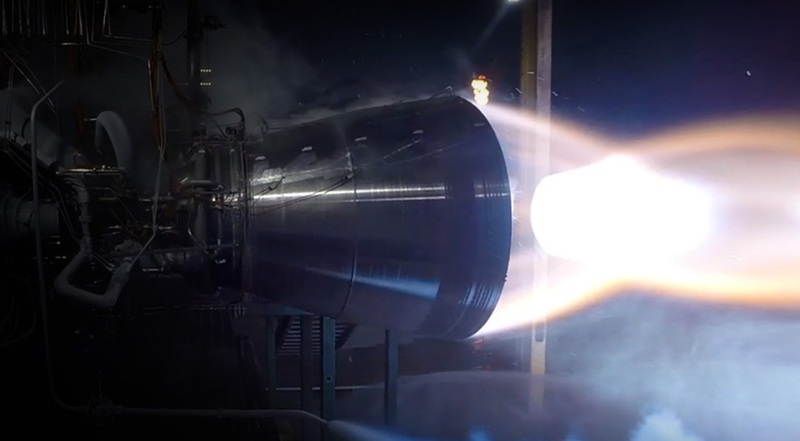 Blue Origin first hotfired the BE-4 in an October 2017 test, and since then has gradually ramped up the test campaign. Blue Origin joins an industry team that includes Aerojet, who will provide the RL10 engine for the rocket’s upper stage, Northrop Grumman for solid-fuel strap-on boosters, L-3 Avionics Systems for the rocket’s avionics and Ruag for the rocket’s payload fairing. Aerojet officials have played down the AR1 competition more recently, particularly after renegotiating an agreement with the Air Force that slows down engine development. The company now says the AR1 could serve as a main engine for future medium-class launch vehicles, although no such vehicles have yet been identified.